A Memorandum of Understanding (MOU) between the Maritime Authority of Panama (AMP) and Rightship Pty Ltd has been signed to promote environmental sustainability in the maritime sector. Puerto Buenos Aires se convirtió esta semana en el primer puerto latinoamericano en adherir al programa RightShip, que incentiva el uso de buques sustentables mediante bonificaciones en las tarifas. Puerto Buenos Aires this week became the first Latin American port to adopt the RightShip program, which encourages the use of sustainable vessels through tariff rebates. From end December 2018, RightShip will increase focus on the operational safety of bulk cape fleet vessels trading to Western Australia. We are continuing to innovate and improve the performance of the Qi platform and predictive algorithm. This is part of delivering on our mission to improve safety in the maritime industry. The maintenance of our predictive algorithm includes retraining our data, which is required periodically. Our next retrain is coming up – see below for more information. We have been active in our attendance of industry conferences & forums to engage with customers and stakeholders – please see more information below and on our website. We participate in these events to engage with our customers and stakeholders, receive feedback and share some of our ongoing initiatives. We are planning a series of RightShip seminars around the world over the coming months. Please do come and speak with us at these events. Given the dramatic increase in interest we have seen with our GHG Rating and Carbon Accounting tool recently I would encourage you to attend one of the GHG webinars with our Sustainability Manager, Kris Fumberger, which will be held in the coming month. adopts the model to changes in input data since the last training. As always, the practical outcome of a Qi model retrain is that some vessel star ratings will move – either up or down – however many will stay the same. We will advise you when we have a firm date for the retrain, and also when it has been completed. If you do have any questions please direct them to your local RightShip office or vetting@rightship.com. For more information on the Qi retrain please refer to the RightShip website or our animated video. RightShip’s insights page displays a range of interactive data sets relating to the safety & environmental sustainability of the world’s maritime fleet. These insights can help our customers stay ahead of the game when it comes to investments, risk management & maximising vessel efficiency. Click on the links below explore each of our data insights. Moving with the market – improving your vessel’s efficiency. Where are the most efficient vessles built? We will shortly be launching a ‘Lessons Learned’ page on our website, featuring best practice safety observations developed by our safety & risk management professionals. This will be up-and-running soon so keep an eye out! As always, our team have been busy collaborating with the industry at maritime conferences & events. Coming up you’ll see Anuj Chopra (Vice President, Americas) at the AMP – OAS – Port Safety & Efficiency Conference in Panama presenting on Economic & Environmental Sustainability; Martin Crawford-Brunt (CEO) & Hayden Latchford (Manager, Australasia) at Singapore Maritime Week and David Peel (Manager, EMEA) at the Dry Bulk Ternimals Group Operational & Technical Meeting in Barcelona. We continue to offer our Carbon Offset Sponsorships, where we purchase carbon credits from our climate-neutral partners South Pole to offset all emissions related to an event. In the latter part of 2018 we sponsored the offset of a total of 735 tonnes of CO2e, which is roughly the equivalent emissions output of a cape size bulker carrying iron ore a third of the way from Port Hedland to China. Congratulations for NAMEPA, TradeWinds & the World Ocean Councilfor your commitment to carbon reduction in the maritime events space. CMA Shipping 2019 in Connecticut, where our CEO Martin will be presenting on Economic & Environmental Sustainability & our Houston-based Vetting Superintendents Steven Day & Oussama Darif will be manning Booth #95. Pictured above is Christopher Saunders presenting at the recent Chemical & Tanker Conference in London & a chat room session hosted by Martin at the recent GasFest conference in Lisbon. Photographed at the TradeWinds Ship Recycling Forum in Hong Kong is (L-R) John Kornerup Bang, Maersk & SSI Director; David Peel, RightShip & SSI Director; Simon Bennett, China Navigation Co & SSI Director; & Andrew Stephens, SSI Executive Director. It’s great to be part of a wider group committed to furthering the ship recycling movement in the maritime industry. Building on our introductory GHG Rating webinar,we are hosting advanced sessions for those wishing to understand the GHG Rating in greater detail. A Q&A session with our sustainability team will follow the main presentation. Register for a short (30 minute) webinar by selecting your preferred session below. If you are unable to attend a webinar a copy of the session will be made available on our YouTube channel. Following some recent changes, we’re pleased to provide an update of RightShip’s current Board of Directors. RightShip is equally owned by BHP, Rio Tinto & Cargill, and 2 representatives from each of these shareholding companies are nominated to sit on RightShip’s Board of Directors. The Chairmanship is rotated every two years between our three shareholders. Pictured above is Isabelle Brassard, Vice President Marine & Logistics for Rio Tinto & current Chair of RightShip. Isabelle replaced our previous Chair and long-serving Director Peter Mannion in 2018. Workshops are being held in Tokyo and Imabari and will focus on RightShip’s recent and upcoming work in the maritime safety, risk and sustainability space. The sessions will include Japanese interpretation and a drinks reception following the workshop. Please click on your chosen session below to learn more and register your attendance. Since February 2008, in recognition of the quality objectives and synergies between INTERCARGO’s “Benchmarking Bulk Carriers” and RightShip’s then online vetting tool, SVIS, INTERCARGO members have received a small positive adjustment to the risk rating in the RightShip algorithm. INTERCARGO membership remain synonymous with quality in dry bulk shipping, however significant changes in use of this big data and predictive analytics over recent years has resulted in improved data and a more sophisticated algorithm to measure maritime risk. These advancements have been incorporated into our new vetting platform, RightShip Qi. As a result it is now more accurate to directly recognise the safety and quality improvements made by members in the operation of their vessels without the historic INTERCARGO adjustment. From 01 November 2018, new vessels entered under INTERCARGO membership will not receive the additional membership adjustment in the model. The effect of this additional adjustment for existing vessels under INTERCARGO membership will be phased out over the subsequent twelve months. In recognition of the INTERCARGO screening process and above-average vessel quality, this membership will continue to be displayed on the vessel dashboard of RightShip Qi. We appreciate all efforts made by INTERCARGO to improve safety in dry bulk shipping and wish to continue and deepen our co-operation around this common objective. For specific member or vessel queries please contact your local RightShip office. Within the next week auto-cancellation of tasks will be released in RightShip Qi. This feature has been developed to avoid dormant tasks in Qi. To achieve this, any customer activity (including vets & vetting questionnaires) that has been started but not completed will be automatically cancelled 25 days from the creation date. The Qi support team will notify users via the in-app message service once the release has occurred. E-mail reminders will be sent 5 days prior to cancellation, as well as notification once the activity has been cancelled. Reminder and cancellation dates will be set at these default levels, but can be tailored upon request. We understand that Paris MoU plans to withdraw their bulk data feed to the maritime industry from 1st January 2019. RightShip, along with around fifty other organisations from sectors related to insurance, banking and financial interests; class societies; and vetting departments from oil majors will also be affected. Withdrawing PSC data in a format that allows it to be accessed and used efficiently necessitates some manual processes to complete the vetting, which may slow the process down. In order to maintain our service standards and minimise the impact of this decision on our customers, we have recruited additional Vetting Superintendents in each of our 3 offices. We have also taken the opportunity to accelerate planned refinements to our risk management practises and algorithm. This includes improving the way PSC data is used in our vetting process. Despite the benefits of updating our algorithm, we acknowledge that having this data feed in a usable format is beneficial to achieve our objective of improved maritime safety, quality & sustainability. We, along with many others affected both within and beyond EU borders and Paris MoU states, support the industry proposal to postpone this decision until it can be considered in the appropriate global forum at the IMO. Since launching our new website in March, we have been working to translate the content into Spanish, Japanese & Chinese. We are pleased to announce that the translated websites are are now live! You can access these pages on the top right hand side of the RightShip homepage. As of October 2018, RightShip is proud to be certified by TRACE, the world’s leading anti-bribery standard setting organisation. TRACE gathers resources to provide companies with practical & cost-effective compliance tools & services. The successful completion of TRACE Certification demonstrates a commitment to commercial transparency, assisting us to conduct business ethically and in compliance with anti-bribery regulations such as the U.S. Foreign Corrupt Practices Act & the UK Bribery Act. It’s been eight months since I started in the role as RightShip CEO, and I would like to thank everyone for the welcome and the feedback that has been provided to me during this time. I have spent a good deal of time meeting up with industry bodies and customers, and this will continue in the coming months as we visit Japan and Hong Kong together with LISCR, Class NK and Marshall Islands Registry. Many thanks to those of you who provided feedback to us earlier in the year. Topline results follow below, however the feedback was interesting and varied, and provides us with rich information on which to build our future – with our customer at the centre. To thank participants for their feedback we made a donation to the Sailors’ Society for each survey response, with the total donation coming to over $12K. Thank you. One aspect of the feedback which came through strongly is the discontent with the way PSC data is generated, used and analysed. We have accelerated our innovation program to compensate for this, which has also enabled us to be on the front foot should Paris MoU Secretariat stick to their decision to withdraw their commercial data feed from the industry at the end of the year. Thank you again for your ongoing support. We were disappointed to learn that Paris MoU will be withdrawing its PSC data in a format that allows us, and many others across the maritime industry, to access and utilise it efficiently. We have met with Paris MoU Secretariat to discuss this decision, which was taken by the Committee representing its Member States. They confirmed that this decision was not made to directly target RightShip. Paris MoU acknowledge the safety and environmental benefits that RightShip delivers – partly through use of this data – which they will continue to supply in its current form until the end of the year (31 December 2018). After this, the data will remain available both through the Paris MoU and Equasis websites on a vessel-by-vessel basis. As it is inefficient to use data in this format, this may result in vetting assessment delays for customers. RightShip employs a predictive risk model which is under continuous development based on re-training of the algorithm, customer feedback and the domain knowledge and experience of our team. Our model receives data from several sources and this PSC data feed in the current format is one of many inputs. This decision provides us with an opportunity to accelerate planned refinements to our risk management practises and algorithm, however we acknowledge that having this data feed in a usable format is beneficial. We will continue to work with Paris MoU Secretariat and member states to support our mutual objectives of improved maritime safety, quality and sustainability in the maritime industry. With over 30 years maritime experience both at sea & onshore, Anuj joined RightShip in 2013 to drive business development, lead the vetting team and foster customer relations in the Americas Region. Anuj considers environmental considerations to be one of the biggest challenges currently facing the maritime industry. ‘As industry pushes to reduce its carbon footprint & enact tighter regulations on CO2 emissions from shipping, there is mounting pressure on organisations not only to meet these new regulations but to get on the front foot & move more autonomously towards a low carbon economy. It’s fantastic to see more & more organisations take the leap & use tools like our GHG Rating to achieve this’. Anuj is an inherently social individual who has strong relationships in the maritime industry. A very community-minded person, Anuj is active in community welfare and mentoring projects and also loves his golf. Since opening RightShip’s London office in 2007, David has significantly grown the European business and now oversees thirteen vetting superintendents. When asked about corporate social responsibility in the maritime industry, David, who is a Director of the Sustainable Shipping Initiative, believes the most pressing social issues relates to seafarer health & wellbeing and human rights. With over 35 years of maritime experience both at sea and onshore, Hayden commenced with RightShip in 2011 as Tanker Inspection & Vetting Superintendent before stepping up to manage the Australasian vetting and dry cargo inspection teams in 2018. As a mariner, Hayden believes that high safety standards are key to a successful maritime business. ‘Keeping your crew & your cargo safe is essential. When safety isn’t a priority, not only are you putting the lives of your crew at risk, you are gambling a huge investment in your cargo’. Hayden enjoys running during his lunch break & playing cricket on the weekend, in his attempt to achieve more balance in mind and body – which also translates to a balance between desk/couch and fresh air! We would like to take this opportunity to introduce RightShip’s newest Vetting Superintendents. Raul has more than 25 years’ experience in the Maritime industry, specialising in ship structures & engine inspection / repairs, surveys, marine management systems, project management and planning. Raul spent 10 years as a Technical Marine Superintendent, and has been in marine surveying for the past 18 years. Rosevelt started his career as an Engineer Cadet, working up to a First Engineer. He then moved to a position as a Trainee Surveyor, later working up to independent Surveyor and then Senior Surveyor. Rosevelt has a Mechanical Engineering qualification and has completed Class I and Class II Marine Engineer qualifications. He is currently pursuing a Postgraduate Diploma in Executive Maritime Management. Kishore joins RightShip as an Extra Master Mariner, and is currently enrolled in a Master of Business Administration course. Prior to joining RightShip he worked a Superintendent, coordinating and responding to SIRE inspections, conducting internal audits, conducting incident investigations, analysing incident trends and was also involved with TMSA audits. Welcome Raul, Rosevelt & Kishore to the RightShip team! Posidonia 2018 has come and gone, and what a week was had by the RightShip team! A massive thanks to all those who visited our stand, mingled with us at events & showed enthusiasm towards our work in creating safer vessels & cleaner seas. As always, it’s fantastic to have the opportunity to connect with a range of different players in the international maritime community. Take a look at our Twitter feed or LinkedIn page to see the comings & goings of the RightShip team at Posidonia. Now that the dust has settled (& we’re appropriately well-rested) after an eventful week in Greece we can honestly say we look forward to coming back in 2020! Pictured L-R are our London-based team of Envangelos Melas (Vetting Superintendent), Martin Crawford-Brunt (CEO), David Peel (Manager – EMEA) & Scott Hutchins (Business Analyst – Customers) at the RightShip stand. As part of a range of updates to RightShip Qi scheduled in the coming weeks, auto-cancellation of tasks in Qi is being released on Tuesday 19th June (AEST). In order to avoid lists of dormant tasks in Qi, any customer activity (including vets & vetting questionnaires) that has been started but not completed will be automatically cancelled 25 days from the creation date. You can read a help centre article for more information, and if you have any specific queries or concerns please contact the Qi support team. Details regarding other upcoming Qi releases will be communicated in due course. You can also sign up for a Qi customer webinar below to learn more about these scheduled changes to the Qi platform. RightShip Qi uses predictive analytics to consider the likelihood that a vessel will have an incident in the next 12 months. We have data on how the the Qi predictive model performed in 2017, which shows a one star bulker being 19 times more likely to have an incident than a 5 star bulker. Visit our website to view our range of data insights relating to the safety & environmental sustainability of the world’s fleet. After 16 years as RightShip’s founding CEO, it’s time for me to bid you all farewell. I formally finished in the role CEO at the end of January, moving to a position of Advisory to the CEO and board where I will assist in the transition during February and March, before starting a new chapter in my career. It has been an extraordinary journey over the 16 years for me personally as well as for RightShip, and I do believe that – in no small way – we have improved the safety standards of the world’s shipping fleet. From humble beginnings in 2001, and with 4 employees in Melbourne we conducted 35 inspections and 974 vets (88.8 million dwt) in our first year. Fast forward 16 years and we have 3 offices, 50 employees, and have cumulatively undertaken around 27,000 inspections and 365,000 vets (30.5 billion dwt). Importantly, we have kept around 13,500 unsafe vessels from our customers’ supply chains. In 2009 we launched the GHG Rating, and in contrast to early predictions it has enjoyed wide-spread industry acceptance, now influencing over 20% of chartering decisions. The RightShip board have undertaken a thorough recruitment process to appoint my successor, Martin Crawford-Brunt, who I believe will do an excellent job in leading RightShip into the future. Martin officially commences with RightShip on 12 March when we will attend CMA together with RightShip’s VP-Americas, Anuj Chopra. In the meantime I’m leaving you in the hands of our very capable and experienced Management Team (see below). So long for now! Many thanks for your custom, companionship, camaraderie – and yes, even your complaints over the last 16 years. You have kept us on our toes, and together we have built a safer and more sustainable maritime environment. I look forward to watching RightShip continue to develop, grow and challenge the industry in the years to come! We are delighted to announce that Martin Crawford-Brunt will be joining RightShip as our new CEO. Commencing on 12 March, and working initially from RightShip’s London office, Martin brings more than 20 years of maritime sector experience to RightShip. Martin has a track record sucessfully building businesses and delivering increased value to shipowners. He joins RightShip from DNV GL where he was responsible for leading significant change, transforming the business model and intoducing innovative services. Professionally and personally we believe that Martin is a great fit for RightShip. Warwick, Martin and Anuj Chopra (VP-Americas) will be attending CMA together and hope to see many of you there. For more information on Martin’s appointment see here. Following the retirement of our long-serving Manager – Dry Inspections, Glen Symonds; RightShip are very pleased to announce that Hayden Latchford has stepped up to manage the Australasian vetting and dry cargo inspection team. Hayden has been with RightShip for 6 years and is an experienced and highly valued member of our team. Congratulations Hayden! As a new CEO has not yet been engaged for RightShip, the Board have asked me to extend my tenure here until January 2018. The plan remains that following the appointment of my replacement I will stay on as an advisor to the RightShip Board and incoming CEO for some months. The Board are going through a very thorough & detailed process to ensure the right person takes up the role. In the meantime I’m still at the helm, and as you can see it’s ‘business as usual’ at RightShip. 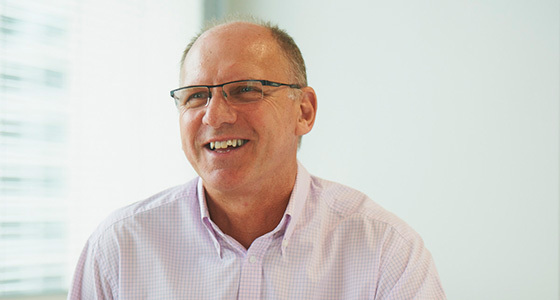 On the subject of staff movements, Glen Symonds (Manager – Dry Vetting) has announced his retirement after ten years at RightShip. Responsible for our global Dry Cargo Inspections, Glen’s hard work and passion for the maritime industry has been invaluable to us at RightShip. He will be sorely missed, and we wish both Glen and Mary-Ann all the very best for his retirement. I would like to thank all our customers for their patience whilst we undertook the first retrain of Qi. As this was the model’s first retrain and it had been some months since release, there was a greater than usual ‘movement’ of risk ratings, which won’t be as significant in future retrains. If anyone would like to query the cause of rating changes please contact us. Future retrains will be more frequent and have less impact on vessel rating stability. For more information on the retrain visit our website. Although we have retained the 5 star risk rating symbol, the new predictive risk model introduced with RightShip Qi represents an entirely new risk rating calculation. In a 5 star rating system, the ‘average’ vessel is, logically, a 3 star vessel. However over the 16-year life of SVIS the distribution of star ratings became distorted by the influx of new vessels, and unlike Qi, SVIS was not a dynamic model so did not adapt to the change in the fleet. Over time, the ‘average’ vessel rating crept up, and the number of 4 and 5 star vessels was over-represented. The introduction of the Qi model provided the opportunity to ‘correct’ the spread of vessel ratings, so that now the ‘average’ vessel is closer to a 3 star rating. This has led to a shift in the star ratings of some vessels, but provides a more accurate statistical representation of the fleet. Given this redistribution of star ratings, we will take the opportunity to reiterate that we advise against the use of a ‘RightShip clause’ in charter party arrangments. FAQs on RightShip Qi can be found on the RightShip Qi support site. You can also view a recording of our recent advanced user webinar which takes a closer look at ratings. If you have a question regarding the change in rating on individual vessels please contact our vetting team. Since 2012, RightShip’s GHG Rating has allowed companies to factor energy efficiency in to their vessel operations. Enabling them to identify the more environmentally sustainable ships, the GHG Rating assists organisations to develop their own environmental policy and practises. Please view our animated GHG Rating video which explains the Rating and how it can assist organisations in their sustainability endeavours. To discuss how the GHG Rating can lower the CO2 emissions of your operations, reduce fuel bills and make the maritime industry more sustainable, contact our Environment Team. A reminder that effective 01 January 2018 RightShip’s age trigger for a bulk carrier inspection for vessels over 8,000 dwt will change from 18 to 14 years, after which an annual acceptable RightShip inspection will be required. As always we’re pleased to get out of the office and be involved in industry conferences and events! In the coming months, we’ve got NAMEPA’s World Maritime Day event in New York City, which our CEO Warwick Norman & Vice-President (Americas) Anuj Chopra will be attending. Our Qi Project Manager Bryan Guenther will be presenting Qi as a case study at the Predictive Analytics World for Business conference, also held in New York . Alongside our carbon sponsorship at the World Ocean Council’s Sustainable Ocean Summit, we are also proud to be co-organiser and Carbon Offset Sponsor of Ambition 1.5°: Global Shipping’s Action Plan, which will run as a side event to the UNFCCC’s COP23 proceedings. Held on the MS RheinFantasie moored in the heart of Bonn, this event will see the development of a plan to meet the ambitious level of carbon reduction indicated in the COP21 Paris Agreement, and serve as a briefing paper for UNFCCC delegates. We’re sponsoring the Splash 24/7 Dry Bulk Market Outlook session at the Maritime CEO Forum in Hong Kong, and Warwick will be on a panel discussing HR & crewing issues. We’re also once again proud to be sponsoring Ship of the Year at the Lloyd’s List Greek Shipping Awards in Athens. In the past couple of months we’ve attended the Safe Ships, Safe Port event hosted by Pilbara Port Authority; Anuj spoke at the 11th International Forum on Ports in Puerto Vallarta, and Warwick was both a panellist and a recipient of the 2017 Personality Award at the SAFETY4SEA Conference & Awards in Athens. Congratulations Warwick! Our environment team represented RightShip at the ANZPAC Workshop in Melbourne, and presented our work on AUSMEPA’s Maritime Emissions Portal at GreenPort Congress in Amersterdam. We are proud carbon offset sponsors of both these events, measuring and purchasing carbon credits for all CO2 emissions to make them carbon neutral. After a lengthy & thorough consultation process with industry (including ports, charterers and ship owners), RightShip have made the decision to remove the Environmental Star Rating from service. Due to the increasing success & uptake of RightShip’s GHG Rating, which measures the CO2 output of vessels, this decision comes as RightShip look to consolidate these ratings and minimise the overlap with the Risk Rating in RightShip Qi, which now better recognises PSC performance in its algorithm. In addition, the Environmental Star Rating aimed to reward actions that are now mandatory, and the GHG Rating allows us to continue to recognise best practice. Furthering our commitment to make the maritime industry more sustainable, the decomissioning of the Environmental Star Rating allows RightShip to foster the development of the GHG Rating dataset, and we will continue to work with ports to reward the most energy efficient vessels in the worldwide fleet. Please contact us if you would like more information. Come and join our sustainability team as they works towards a low-carbon future for the maritime industry. We’re looking for a Senior Sustainability Officer to work out our Melbourne Office. If you can bring knowledge, experience & enthusiasm for managing sustainability projects to a dynamic & friendly working environment we’d love to hear from you! The DNV GL review of RightShip’s GHG Ratnig methodology concluded that there is an incentive for shipowners to verify their vessel specifications. Over 10,000 ships have now had their details updated in our system, and in December 2017 we completed a record 664 verifications! To review your vessel’s GHG Rating and the particulars used to calculate this please log in to Qi (if you are a RightShip customer), or visit shippingefficiency.org and follow the prompts. If you would like to update your vessel specifications you can do so through shippingefficiency.org or by contacting RightShip. 2017 was a busy year at RightShip! As a result the CO2 emissions for our business operations were slightly up on last year. In 2017 we were also proud to partner with the maritime industry to create more sustainable conference & events through our carbon offset sponsorships. Congratulations to organisers of the following conferences who collectively offset 3,658 tonnes of CO2e, making the maritime industry more sustainable – one event at a time! It’s a new year but we inhabit the same planet with the same amount of resources. We need to use them more wisely than ever! This year RightShip gave a festive season gift to the planet, providing customers with access to an anonymised GHG Rating dataset. This allowed them to filter by ship type, cargo, DWT or Age, or use their customer code to see the specific data related to their fleet. With environmental issues at the fore in 2018, we hope that this inspired our customers to consider the environmental impact of their operations, and join the movement to lower carbon & enhance sustainability in the maritime industry. Take a look at the data here, or if you’re a Rightship customer contact us for your customer code. As the maritime industry moves towards a more sustainable future within a low-carbon economy, it is encouraging to see the industry work to ensure that issues of sustainability & environmental action remain at the forefront of industry conferences & events. We were incredibly pleased to have the RightShip GHG Rating on the agenda at MPC71 in July. Our Commercial & Strategic Manager Wayne Blumenthal is pictured addressing the plenary room at IMO HQ, discussing how the GHG Rating can deliver CO2 savings to the market & encourage sustainable vessel selection within the industry. In the coming months, our sustainability team will be representing RightShip as Carbon Offset Sponsors at Greenport Congress in Amsterdam; NAMEPA’s World Maritime Day in New York, as well as WOC’s Sustainable Ocean Summit in Halifax, Canada. We are also proud to be co-organisers and Carbon Offset Sponsors of Ambition 1.5°: Global Shipping’s Action Plan, held in Bonn as a side event to COP23. In the past 12 months we have sponsored 7 carbon-neutral events. We are proud to have offset an estimated 2,766 tonnes of carbon dioxide emissions through these sponsorships! RightShip offers assistance for organisations who wish to measure, report on & manage their scope 3 GHG emissions associated with shipping activity. Our verified Carbon Accounting tool allows charterers the opportunity to further manage their carbon output & explore emissions reporting & reduction opportunities. By measuring emissions, organisations can reduce their environmental footprint; improve efficiency & identify energy risks in their supply chain, as well as demonstrate industry leadership in their efforts to reduce emissions. Since 2012, RightShip has assisted charterers to select more efficient vesses, through identifying ships on the market with a low GHG Rating & enabling organisations to create policy in accordance with this. This has changed the dynamics of the charterering process – the GHG Rating is now considered in one in every five vessel selections worldwide. As of September 2017, the GHG Rating was used by 85 industry stakeholders, including 55 charterers, 19 shipowners, 5 indutsry groups, 4 banks & 3 terminals. We are continuously working to develop the GHG Rating dataset, and have so far provided verifications for more than 10,000 vessels. The DNV GL review of RightShip’s GHG Rating methodology concluded that there is an incentive for shipowners to verify vessel specifications. Over 10,000 ships have now had their vessel specifications updated in our system. We are continuing our partnerships with AUSMEPA to develop the Maritime Emissions Portal (MEP). An online platform that will use AIS data to measure in-port emissions, the MEP aims to empower ports & stakeholders to report on, benchmark & better manage emissions data. We have partnered with Oceaneering PortVision as our system developer, to bring the MEP concept into reality in an interactive platform. RightShip & AUSMEPA welcome the opportunity to work with ports & the wider maritime industry in all stages of MEP development. We are working with some Australian ports to trial the platform and assist us to develop its functions in accordance with industry needs. The Australian Marine Environment Protection Agency’s Port Emissions Portal has been selected as one of ten finalists in the 2016 Google Impact Challenge Australia. Working with RightShip, AUSMEPA’s Emissions Portal will utilise satellite tracking and a big data approach to measure air quality and changing air patterns throughout the port environs. AUSMEPA could be one of four organisations to receive a $750,000 grant to assist in developing the portal. The six additional finalists will recieve $250,000. A judging panel will select three winners, and a fourth will be selected based on public voting, which is open from 4-25 October. Click here to vote for AUSMEPA – it only takes seconds, and will help AUSMEPA create greater transparency of air emissions caused by shipping activity in ports. The press release regarding the emissions portal can be found here. The 2015 DNV GL review of RightShip’s GHG Rating methodology concluded that there is an incentive for shipowners to verify vessel specifications. Over 10,000 ships have now had their vessel specifications updated in our system. To review your vessel’s GHG Rating and the particulars used to calculate this please log in to SVIS (if you are a RightShip customer), or visit shippingefficiency.org and follow the prompts. RightShip are once again proud sponsors of the 2016 GreenPort Congress (11-14 October). Sustainability Manager Kris Fumberger will be presenting on first mover advantages for port environmental programs. RightShip’s EMEA Manager David Peel will also be in attendence, demonstrating the CO2 footprint from shipping emissions at individual ports. RightShip are also the ‘green’ carbon offset sponsor for the World Ocean Council’s 2016 Sustainable Ocean Summit (30 Nov – 02 Dec). CEO Warwick Norman will be participating in a panel discussing “Reducing CO2; affordable, scalable solutions for the maritime industry”. Ahead of COP21, twenty-six of the 35 charterers that include vessel efficiency in their supply chain selection have come forward to highlight their proactive measures on climate change. By using the Greenhouse Gas (GHG) Emissions Rating to find the more efficient vessels, these industry leaders are using their influence to incite change in the maritime industry by rewarding ship owners that prioritise efficiency. The 35 charterers that utilise the GHG Emissions Rating collectively undertake over 26,000 vessel movements and ship more than two billion dead weight tonne annually. Following in the footsteps of early adopters Cargill, Huntsman and UNIPEC UK, the following have come forward to announce their use of the GHG Rating: Baere Maritime, BHP Billiton, Canpotex, Dubai Supply Authority, Greenergy, HESS, Hudson Shipping Lines, Incitec Pivot Limited, Ixom, Nidera, Noble Chartering, Olam, Olin – Blue Cube, Par Pacific – HIE, PTTEP, Refidomsa, Rio Tinto, Saudi Aramco Products Trading Company, Scorpio Group, Targa Resources, The Mosaic Company and Z Energy. For more details the media release can be viewed here. RightShip is committed to ensuring our GHG Emissions Rating reflects the latest outcomes from the IMO working groups, and aslo responds to industry feedback. Following a recent review by DNV GL we are making some minor adjustments to our formula so it more accurately evaluates existing vessels as well as enabling us to apply it to additional vessel types. Whilst these will not have a large impact overall, it may cause a slight adjustment so some vessel ratings. If you have any questions relating to the GHG Emissions Rating or the upgrades we are undertaking please contact us. As gold sponsors, RightShip’s Warwick Norman (CEO) & David Peel (Manager Europe, Middle East & Africa) will be in attendance at the 2015 Greenport Congress. Warwick will be presenting on port incentive programs that reward sustainability, and will be happy to provide port operators with an on-the-spot review of their port’s greenhouse gas emissions over a defined period of time. Root Cause Analysis is a useful process for understanding and solving a problem. Figure out what negative events are occurring. Then, look at the complex systems around those problems, and identify key points of failure. Finally, determine solutions to address those key points, or root causes. A PDF that provides good examples of responses to PSC deficiencies in consideration of root cause, corrective & preventative action. A large number of vessels were built during the ‘shipping boom’ of the early 2000’s. This report investigates the effect of this ‘boom’ with respect to the performance of the International Association of Classification Societies (IACS) Class Society, Flag States, and ship type. Fully updated – covering cyber security, ECDIS, mooring, Lube & Fuel sampling & passage planning. On request from RightShip, DNV GL conducted a review of the Greenhouse Gas (GHG) Emissions Rating, involving a comparative assessment of RightShip’s Existing Vessel Design Index (EVDI)TM and its relation, and difference, to the International Maritime Organisation’s EEDI.